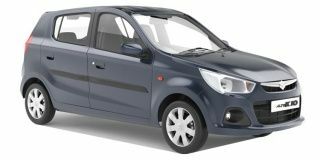 On the design front, the Alto 800 feels dated, but its strength lies in its reliable mechanicals, extensive sales and service network, low running costs and a strong resale value. Its USPs aren't visible to the naked eye and yet keep it at the top of its game. 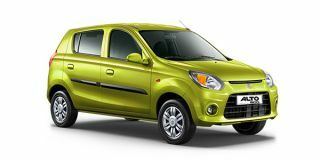 The Alto K10 offers the same no-frills ownership experience that you'd associate with an Alto in a package that's quite a bit faster than the basic Alto 800. It has its shortcomings, which swell up when parked next to the Kwid. Thankfully, it packs no surprises, and that's its strength. 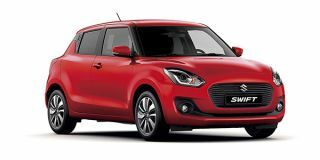 The Swift is fun, economical, spacious and has a personality too. If you can’t be bothered researching and want a hatchback that does a bit of everything, head over to the Maruti showroom. Be prepared to wait a while before you actually get one, though. You can’t really go wrong with the Baleno. It’s loaded, spacious, efficient and can be fun too! We wish for better build quality at certain places and a punchier tune for the diesel motor. Look past that and it’s a no-nonsense choice! Compact sedans don’t get any more polished than this. A spacious cabin, comfortable ride, feel-good features and a hassle-free ownership experience - the Dzire promises it all! The new WagonR blends the strengths of the older versions with some new ones. Looks like it’s going to be easy for Maruti Suzuki to hold on to the number one spot in the segment. The Elite i20 has stood the test of time and the facelift does just enough to keep the it relevant in a highly competitive segment. The new i20 features a few changes but is essentially still the same car with slightly improved driving dynamics. So if you’re looking for a frugal yet youthful family hatch, the i20 is still a viable option. The Creta is expensive. But, it feels like you’re getting your money’s worth. It’s well-built, has a comfortable ride, enough gizmos to keep you occupied and a brilliant set of engines. You’ll have trouble upgrading from this one. The Grand i10 may not have zing, but it’s as good as budget hatchbacks get. Hyundai has got the recipe of a small city hatch spot on. There’s no reason you shouldn’t consider buying one.